Disney Princess Enchanted Tales: Follow Your Dreams is a 2007 direct-to-video animated feature produced by Disney Toon Studios. 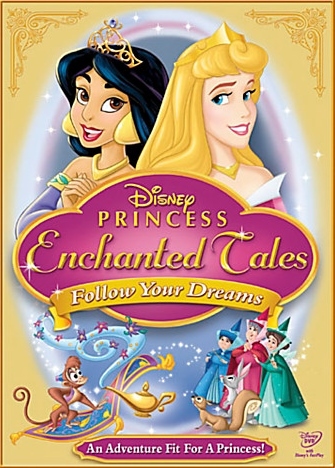 It was the first film in a planned new Disney Princess Enchanted Tales series of direct-to-video films, each featuring new stories about the Disney Princesses. It was released on September 4, 2007 by Walt Disney Studios Home Entertainment. In Greece it has been dubbed and released a few years later, in 2012.